Nearly every fly tier wrestles with dry-fly hackles—and The Art of Tying the Dry Fly gives the subject of hackles a royal treatment. 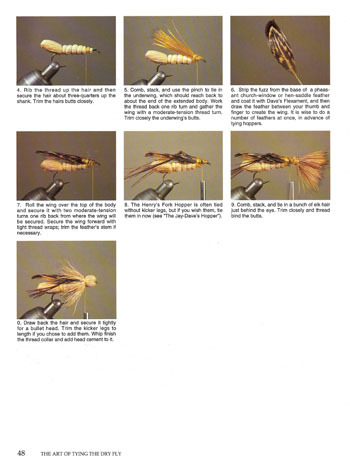 The nuances of selecting hackles and tying with them are presented with lots of color photos, captions, illustrations, and concise explanation. 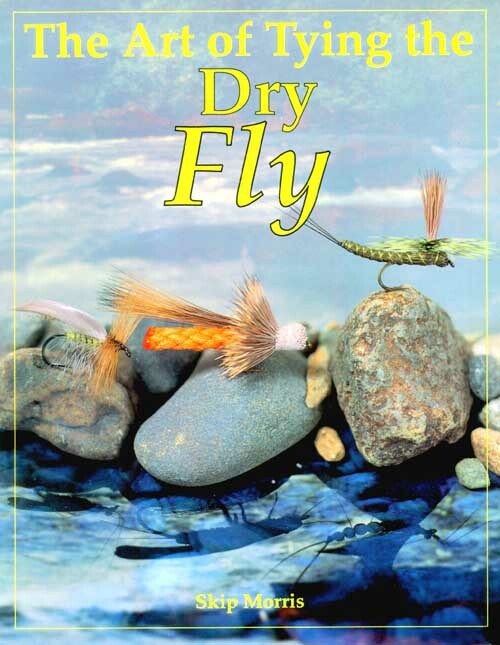 Also covered are 38 great dry-fly designs, tied step-by-step with captions and color photographs. 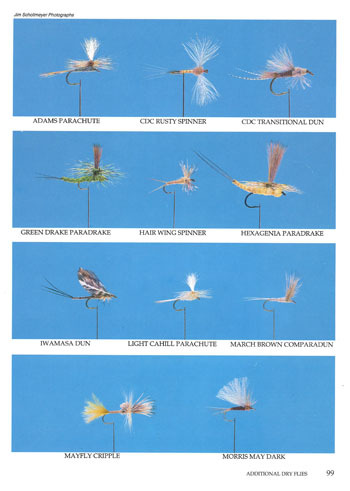 And at the end of the book is a collection of additional dry flies with a photo and dressing of each, a total of eighty more flies. 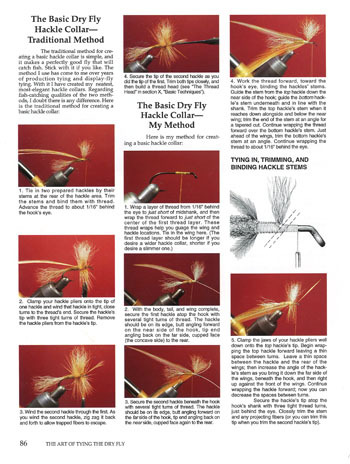 Above: color photographs, captions, and illustrations teach you to tie an excellent collection of dry flies for trout. 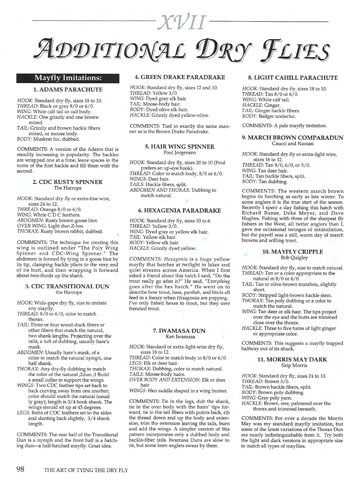 Above: the fly-pattern collection shows the completed flies on one page, and provides the dressings on each facing page.